Monday and Tuesday are days off. Please check Vkontakte Event - you can post photos of your work there! We are constantly asked: "Can we visit your workshop with children to work with cardboard and make something together?" Usually we answer, that our production is private, and only adults can participate in internship projects. But you wanted it so much that we decided to open an area you can visit almost every day. 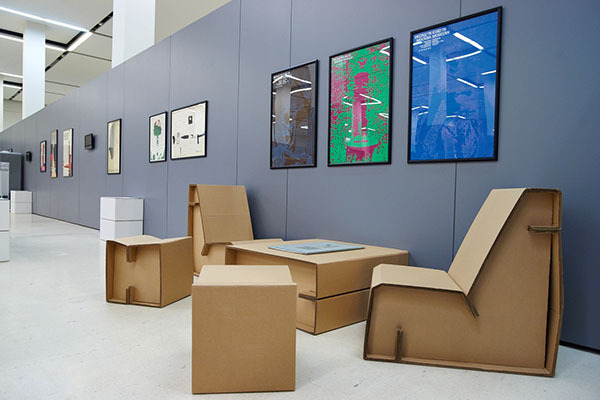 1st of April, 2015 Cardboardia Personages open the constantly working living exposition in “Made in Cardboardia” workshop that can be visited by children of all ages and their parents in order to construct the model of the Cardboard Town together. Every constructor can materialize his dreams in any building, monument, transport or personage and thus become a co-author by asking himself, how the town of his dreams looks like. Moreover, you can bring old tiny toys, exchange with other licensed constructors and settle them in our town. Timofey Moskovkin, the honored personage of Cardboardia at the order of Tyran is appointed to the post of the First architect of the Cardboard Town for Toys! He is to create the basic town infrastructure and help beginners to realize their timid projects! The construction site has been working under experimental conditions and waiting for all comers from 1 April, 2015. Only over-5 years old licensed specialists are allowed to construct. Only one specialist can work under one license. The construction License for three hours running costs 500 rub. The construction License for 1 hour costs 250 rub. For groups of 10 people and more the cost of one construction License is 350 rub. for a person. For school groups we give 45-minute classes at weekdays. In this case the License costs 250 rub, and all comers should register beforehand. Please be reminded: you can bring your own tiny toys for settling them in the town! 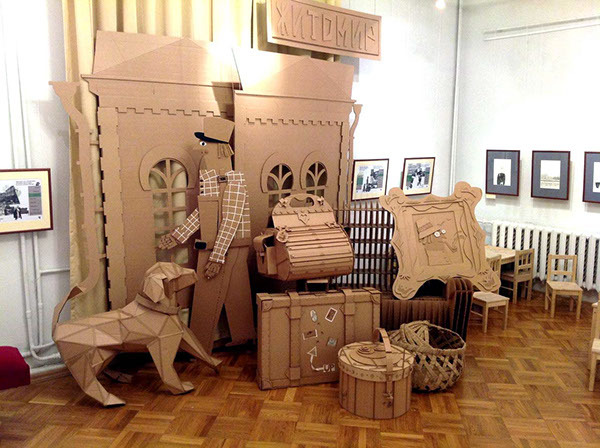 And a wee little doggy named Snooks.."
Game cardboard scenery for exhibition, which presents the characters of the poem SY Marshak "Baggage" in illustrations of young professional artists in Moscow. 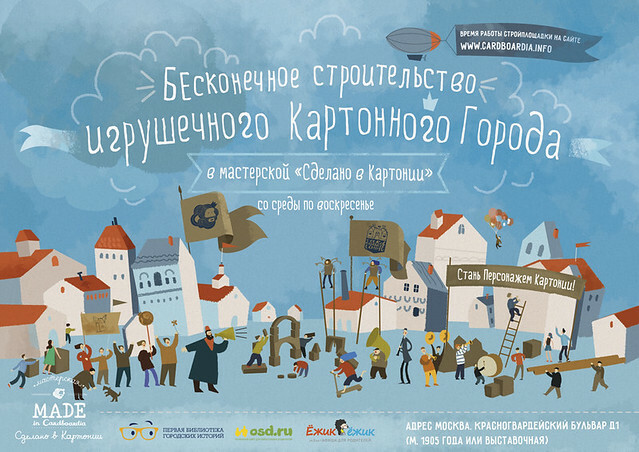 Exhibition is held at the State Literary Museum in Moscow from 20th of November to 30th of December 2012.